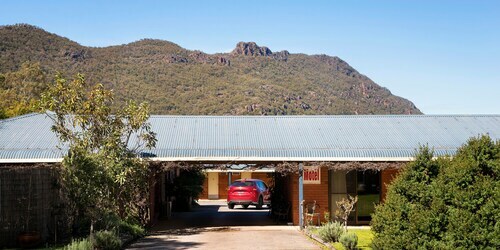 Situated in Halls Gap, this luxury cottage is 3 mi (4.8 km) from Halls Gap Zoo and 11.4 mi (18.4 km) from McKenzies Falls. 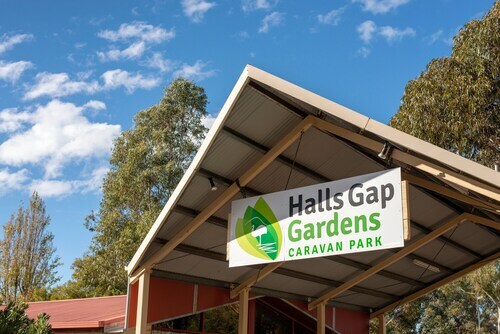 The sleepy little heart of The Grampians, Halls Gap is the ideal location for a relaxing retreat. Our Halls Gap accommodation will have you surrounded by the picturesque bushland setting of towering red gums and colourful wildflowers. From spa treatments to roaring open fires, our range of Halls Gap hotels will make your getaway complete. If a quiet break is not the type of holiday you are looking for never fear, a Halls Gap hotel will just as soon deliver you to high adrenalin activity. The rocky formations of the Grampian Gariwerd National Park are one of its most prominent features, and provide the perfect setting for some adventure. The landscape is made for exploring and you will not be disappointed by what you find. Whether your thrill is on foot, bike, or clinging to the side of a sheer rock face, our hotels in Halls Gap have you covered. Even the water is teeming with activity, offering excellent canoeing and kayaking spots as well as some of inland Victoria’s best fishing. How Much is a Hotel Room in Halls Gap? 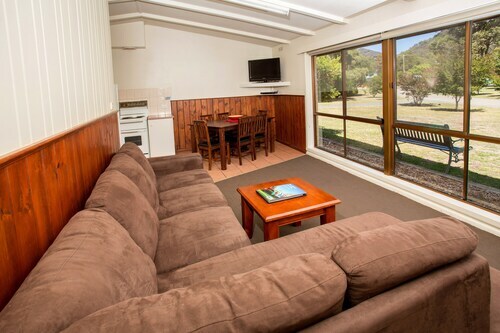 Hotels in Halls Gap start at AU$84 per night. Prices and availability subject to change. Additional terms may apply.